A Scottish hotel has introduced a new quick golf competition and a free post-round beer, or soft drink, is up for grabs for all competitors. 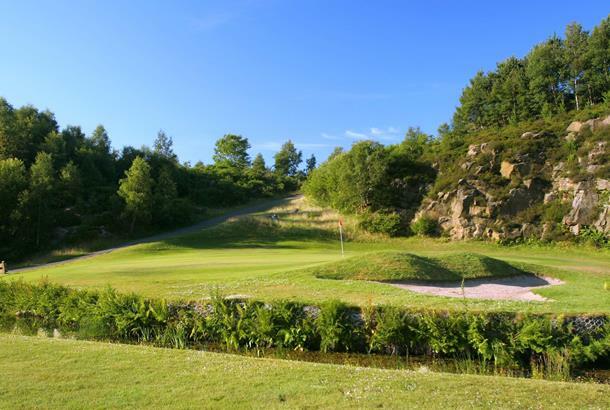 And to encourage quick play, anybody completing their round in under an hour-and-a-half at the Westerwood Hotel & Golf Resort, near Glasgow.is rewarded with a bonus Stableford point. Westerwood's 'Evening Eights' competition is open to both members and visitors and comprises an eight-hole Stableford competition on holes one and 12 to 18. While the format was originally conceived to promote twilight golf during the late summer, it has been extended to allow members to play at any time during the day, while visitors may tee off any time between 5 and 8pm, subject to availability. The cost of a round in the 'Evening Eights' is £6 for a member and just £10 for visitors. Weekly prizes can be won until the end of September. Daryn Cochrane, golf operations manager at the Westerwood Hotel & Golf Resort, explained: "There continues to be increasing time pressure on golfers so leisure time is at a premium. But people still want to play golf, so we came up with this concept which works well with the layout of our course. "The league format runs until the end of September with the top eight then going into a knockout format. But the opportunity is also there for people to play whenever they wish to put themselves in the frame for the weekly prizes - and, of course, to have fun and stay fit in the process." Part of the multi-award-winning QHotels group, the Westerwood Hotel & Golf Resort is situated in acres of spectacular grounds, with a course co-designed by the latet great Seve Ballesteros. The spectacular signature hole, the par-3 15th - created by Ballesteros and known as the Waterfall hole - requires a tee-shot from an elevated tee to a green surrounded by a 60ft rock face.